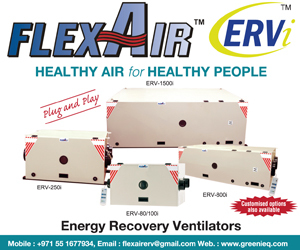 Faulty and leaky ductwork in buildings in the Middle East is recognised by industry insiders as a hidden spectre that results in significant energy loss, higher power consumption, sick building syndrome and reduced performance of HVAC equipment. Why, then, does the problem remain largely unaddressed in the region? Leaky ductwork is an energy hog that is hidden from view – or at least that’s how Max Sherman, a Senior Scientist at Lawrence Berkeley National Laboratory, in the United States, describes the problem in his article, “Billions in Lost Energy Leaking Out of Home Heating & Cooling Ducts”, which the laboratory published in March 20011. Sherman’s article was published 14 years ago. However, the problem he examined persists, not only in California but in all of the United States, with the US EPA estimating that in an average American home, “about 20 per cent of the air that moves through the duct system is lost due to leaks and poorly sealed connections”2. But is it an issue that concerns only American homeowners? It would seem like a sound assumption to make, with Amrit Saxena, Business Development Director of Macsil General Trading Company, revealing that air leakages in an average building in the Middle East “constitute an energy loss of around 30% to 40% for newly constructed buildings, peaking at up to 60% to 70% for buildings 15 years and older”. Al Bargouthi’s emphasis on standards playing a part in leakage-related energy loss reflects his view that the problem of leaky ducting systems can be traced to either inexperienced labour or poor installation practices. And it’s a view shared by others. Delayed detection of duct leakage is a pervasive problem, one that both Naumov and Al Bargouthi attribute to the fact that leaks are – as Sherman put it – hidden from view. “This problem is silent; it is invisible,” Al Bargouthi says. Naumov, meanwhile, is even more forthright, calling air leakages “an evil not seen”, before bringing up leaky water pipes for comparison: “Leaking water can be seen, hence easier to address. Air leakages, on the other hand, are a fact of life. There will always be leakages. The goal is to minimise them.” He remarks that achieving the goal, however, can be difficult since regulations are not being sufficiently enforced. All five experts are in agreement that there is no shortage of standards and regulations that cover the issue of leaky and faulty ductwork. Other than SMACNA, Cargopoulos identifies The International Green Construction Code Version 2, IAPMO’s Green Plumbing and Mechanical Code Supplement (2010), the International Energy Conservation Code (2012) and ASHRAE 90.1 as among the standards his company uses. Touching on standards, Younes also names SMACNA as the guidelines to be followed for leakage-testing procedures, while describing ASHRAE 90.1 as the benchmark being followed by most GCC region countries. “ASHRAE 90.1 mandates duct-leakage testing to be done on all systems that have a static pressure of three inches or more,” Younes says. Speaking candidly on the matter of enforcement, Al Bargouthi says, “To be honest, right now, the focus is on air leakage of the building [envelope] itself, because we want to ensure that buildings are kept safe from untreated air, and in the area of ducting, we still don’t have our inspectors checking the installation materials.” He makes sure to stress, though, that Dubai Municipality is fully informed on the severity of the problem of leakages in ducting systems, pointing out that having testing and commissioning regulations is a significant step in addressing the issue. “Everyone needs to think seriously about the problem with ducting, with its installation and maintenance, because it affects our energy consumption and our electricity bills,” says Al Bargouthi. Al Bargouthi’s sentiment is shared by the rest, who express the need for complete awareness of the different implications of leaky ducts. The consequences of air leakages are not limited to energy loss and higher power consumption, though. Those without pre-existing conditions are not safe, either. Cargopoulos points out that a build-up of moisture “creates the perfect breeding environment for moulds and other bacteria, in the presence of organic materials like dust and sand, which in turn, can lead to chronic respiratory conditions in people who have not suffered from problems before”. 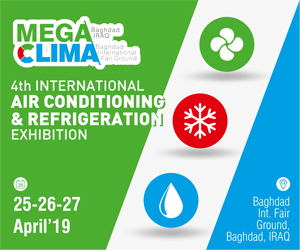 Other than affecting the indoor environment of buildings, the unnecessary load and strain on the HVAC systems mentioned by Younes and Cargopoulos can also impair the performance and lifespan of the HVAC systems. With the alarming energy cost and health implications of leakages in ducting systems, it is apparent that steps must be taken to, if not eliminate, at least minimise their occurrence. But considering the challenges that have been presented, what are the avenues of action available to industry stakeholders? What measures can they take to reduce the incidence of air leakages? The question is: what will make stakeholders feel a sense of responsibility, especially over a problem that is hidden from view? What will motivate them to take notice of an issue that has largely been ignored for so many years? 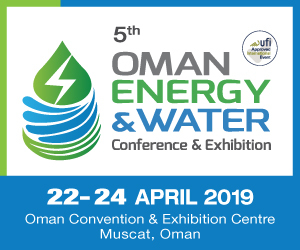 Younes, also highlighting the value of information and of an educated industry, draws attention to the lack of research on the issue of leakages in HVAC ducting systems in the Middle East. “No comprehensive studies have been carried out in the region,” he says. To raise awareness of the problem, he recommends that action be taken to tackle the dearth of local information, starting with “case studies on buildings that show the cost related to duct leakages”. Such studies, he said, could help prompt building owners to “start rectifying duct leakages”. Saxena supports the idea of research as well, noting that although small-scale studies have been made in the region, a “much larger study needs to be carried out, which can only be sponsored by a third party, like the government”. While there’s no telling just yet if governments in the GCC region would ever consider conducting large-scale research on air leakages, headway is reportedly being made in the area of information collection. That is, at least in Dubai, with H.H. Shaikh Mohammad Bin Rashid Al Maktoum, Vice-President and Prime Minister of the UAE and Ruler of Dubai, having launched in 2014 the Dubai Smart City strategy, which should eventually prove useful to the industry. The smart city project is a good project, Al Bargouthi says. And it’s one that he says he is confident will, eventually, bring about positive changes to built-environments, not the least of which is a reduction of leaks in ducting systems. That will certainly be a positive change, for as Sherman also states in his 14-year-old article, better ductwork is a win for everyone. It’s a win for the environment, the government, the building owners and the building occupants, for it would mean reduced energy consumption, carbon footprint and electricity bill, as well as healthier and more comfortable indoor environments. The following calculations, which were drawn up by Rakesh Saxena, General Manager of Toronto, Canada-based Trimac Inc, show the potential savings that Dubai can accrue just from sealing HVAC air leaks. Do note that listed figures are based only on assumptions and estimations and are not intended to be taken as statistics. *As per Noor Eldin Mohammed Al Bargouthi of Dubai Municipality, 50% is a low estimate, with the real figure being higher, around 70%. This article brings a very highlight to a very important issue and Leakfree and Tight Ducts as per SMACNA / DW 144 Standards are right requirement of the building industry always. Its fantastic that we should all concentrate on Duct Leakage Testing and Installation but the word starts / commences from CONSTRUCTION OF DUCTS as per Approved Standards with APPROVED TRANSVERSE / CROSS JOINTS AND LONGITUDINAL SEAMS. The major leakage areas in ductwork are these two and out of these TRANSVERSE / CROSS JOINT is for sure more important. It would be nice if all of us notice that which FLANGE & OTHER JOINTS our Duct Manufacturers / Companies / Suppliers are using..and whether the flanges used in Ductwork are TESTED / CERTIFIED AND APPROVED AS PER DW144 / SMACNA / ASHRAE etc..
As Dusark International FZE, leading Ductwork Manufacturing & Operation Consultants and having an experience of over 20 Years in Ductwork Industry with setting up and expansion of duct factories in Middle East Region, we can help on this issue and would suggest if some testimonies of ductwork manufacturers are also included in such articles, that will be of much help. Please contact firmacuk@yahoo.com and/or dusark@yahoo.com for more information.